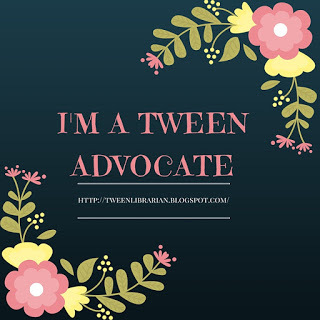 Keeping up With YA: I'd Like Your Help! About the Book: Lola loves dressing in unique costumes. The more elaborate, the better. She has an awesome wardrobe, a rocker boyfriend, and awesome dads who are loving. Her life is pretty perfect-until Cricket Bell moves in next door. Cricket Bell, who broke Lola's heart a few years before. Lola is over Cricket, isn't she? But with Cricket so close, Lola has to decide where her heart truly lies and what she really feels for the boy next door. GreenBeanTeenQueen Says: OK, here's the thing, I loved Anna and the French Kiss. Adored Anna. So when I heard about Lola, a companion novel to Anna, I was nervous. How would it live up to the first book? How could I not compare the two? And would Cricket be as crushworthy as St. Clair? The answers were yes and no. In some ways I really enjoyed Lola and in others it didn't quite live up to my expectations. It's still a great novel, don't get me wrong, and I love Stephanie Perkins-she knows how to write a great romance! I liked Lola-for the most part. She could be a bit whiny and fickle at times, but I liked her random outfits and I felt she grew less fickle as the book went on. And Cricket is pretty crush-worthy! He's a little too perfect, but he's also super sweet and a nice guy and you really can't help but like him. I think what bothered me the most was that Lola had a boyfriend Max, who while at times was a huge jerk, he also had moments (at least to start) that made me a bit sad that Lola was going to break up with him. Sure, he turns into more a jerk as the book goes in, so you don't like as much, but I liked him to start because he was nice enough to have brunch with Lola and her dads every week. So I had to give him credit there. But what I didn't like about Max was that it made Lola have to choose. Cricket or Max? It's a love triangle that's not a love triangle. I guess without Max, there's not much conflict. Otherwise, Lola can be with Cricket right away. But I felt that with Lola having Max, it felt like a gender-swap of Anna at times. I did like that Lola didn't immediately jump into Cricket's arms. She takes her time and realizes that she needs to figure herself out first. When so many books seem to have a "lust at first sight" story, I really appreciated that Lola and Cricket spent time getting to know each other again and that the relationship takes time to develop. I think that's what I like most about Stephanie Perkins' novels. Her characters actually take time in their relationships. And of course, I loved the glimpses we get of Anna and St Clair! How could you not? Despite my annoyance of a maybe love triangle, I still really enjoyed Lola and Cricket. I think Stephanie Perkins is one of the best contemporary romance writers in YA. 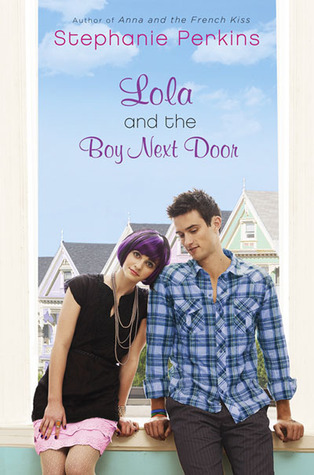 If you want a good contemporary romance, add Lola to your reading pile. Teens will be eager to get their hands on this one and I can't wait to share it with the teens at my library. I loved Anna and I can't wait to read about Lola. Stephanie Perkins writes such unique characters that it is always an adventure getting to know them and listen to their story. I couldn't wait to see what you said about this one! I haven't read it it, yet, but I adored Anna. I certainly understand what you're saying too. Sometimes I love a book so much that, even when the author's next book is amazing, I'm still committed to the other characters. Stephanie Perkins is so talented. I'm psyched to check this one out. Natalie-I loved Anna so much and I was so conflicted by this one. I wanted it be Anna but I didn't-you know what I mean? I think Cricket is totally crushworthy and really liked the book, but I really hated that she had a boyfriend to start. I can't WAIT to this. it just came into the library today - hoping to get on mm hands on it tomorrow!!!! I enjoyed Anna as a story more than Lola but still I found this book entertaining and enjoyable. Perkins certainly does a wonderful job creating contemporary romance.